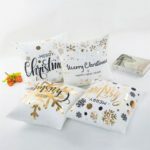 The sequins pillow cover is perfect for decoration and gifts. It looks great anywhere you want to put it and a great alternative to sofa, bed or car decor. 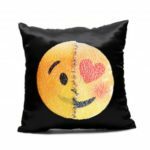 Magic sequin pillow can put you in a good mood that relax yourselves. Handmade reversible sequin, like mermaid scales. Run your fingers across the sequin, you can get a different color or get a word of a picture just like magic. The smooth zipper fits pillow perfectly, it attaches well and is easy to open and close. The zipper hides well for a finished look. The opening is large enough to plug insert into the pillow cover. 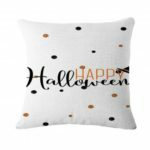 The sequin pillow cover brings you fun and matches your home decor great. It is also great for people who like to fidget with their hands. 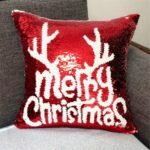 Sequin pillow cover is perfect for home, party, wedding and formal events. Please Note: This is the pillow case only, pillow insert not included.